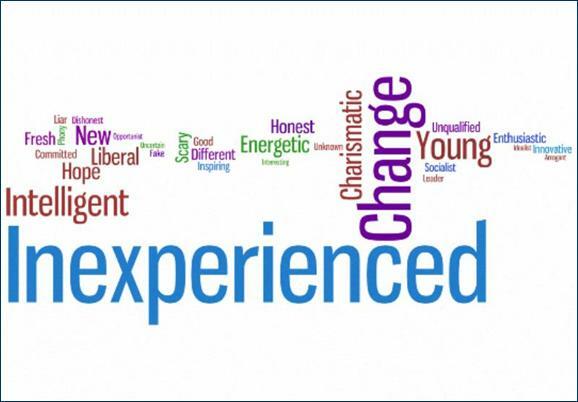 In the latest survey by the Pew Research Center for the People & the Press (a national survey of 1,303 adults reached on landlines and cell phones) Americans were asked what one word best describes their impression of President Barack Obama. A similar question was asked of then-candidate Barack Obama in September 2008. The public’s impression of Obama has changed substantially since the fall. 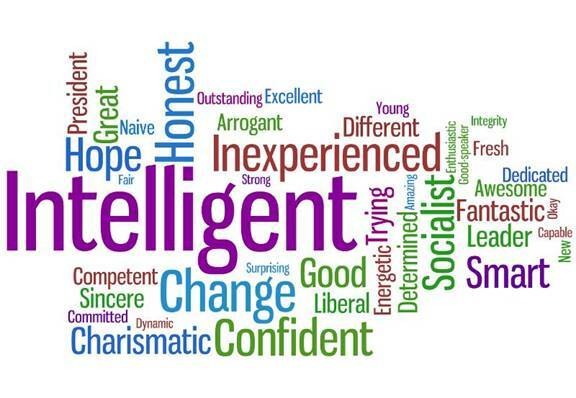 More Americans are now using words such as intelligent (the most frequently used one-word descriptor), honest, confident and smart, and fewer are using words like inexperienced, young, new and change — though, while fewer people use change, it still remains the second-most popular descriptor. Back in September, the most frequently used Obama descriptor was inexperienced, which has fallen to fifth place on the descriptor list. 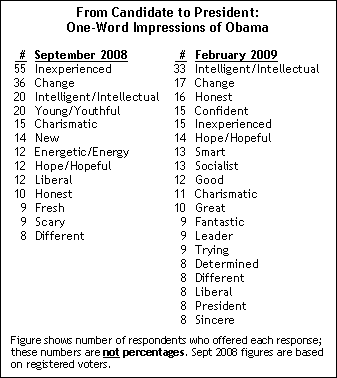 Other descriptive words are sized based on the frequency with which they were mentioned in regard to Obama.